Nuuna | Oh Look! It's A Blog! Something a bit different today with several items from the first ever “Serafilms” round by Seraphim. 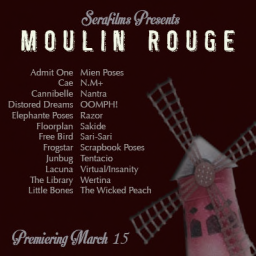 The event theme is Moulin Rouge and you can see all the items available if you view the gallery on Seraphim’s website. 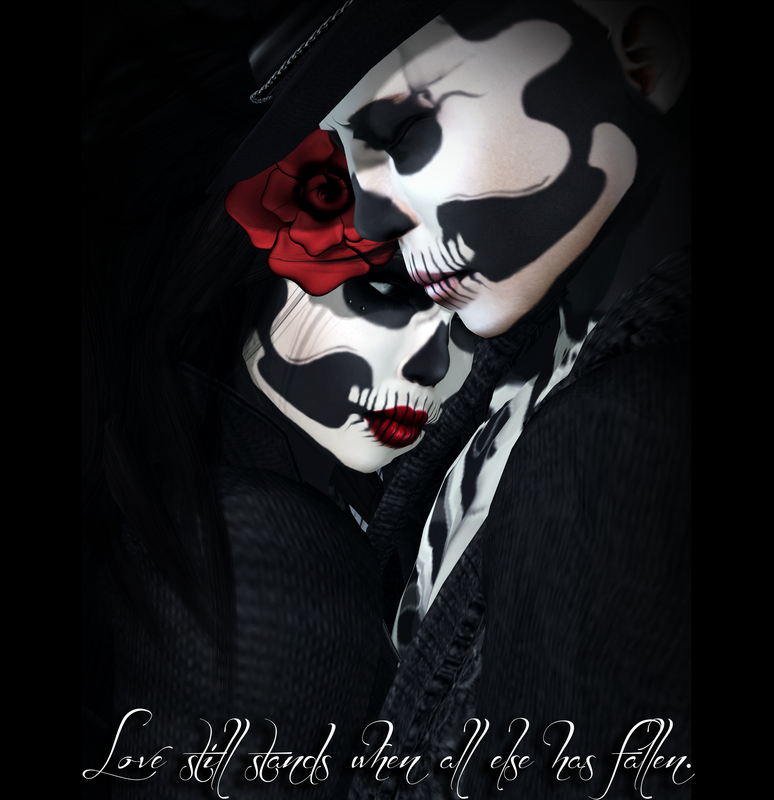 The Body Modification Expo opens today at 12pm SLT. This photo is post processed (I had to fill in some of the hair covering the chest because the pose ate it lol) but the hair itself is really unique. You can wear it how I have it with the blindfolded nest looking head part or an option without. The hair horns are also an additional added option as well as the longer strands. There are really several ways you could wear this hair. It is however only available in this one color option (black/orange combo) for the event. Today is the last day for The Arcade, so if you haven’t been by to try your luck at the gacha machines…you better go now! I was trying to come up with a more creative way to show the new eyes from Insufferable Dastard available at Cinema. They are in the Sci-Fi theater, so I put together some weird alien/I have no idea what I really am doing type of look. The alien eyes shown in the main pictures are my favorite, but they are all pretty neat. 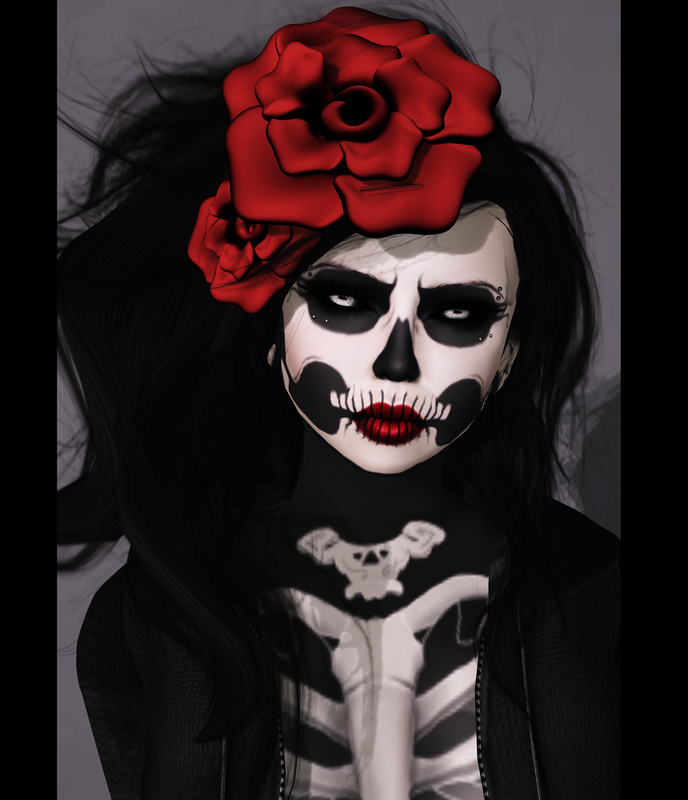 I also wanted to use these new face make-ups/tattoo layers from Nuuna’s so I picked them up today to complete this look. They are amazing and come in a pack of 12! ( Both male and female options available ). You can see some of the other options below, along with some close up shots of all the different eyes that .ID. 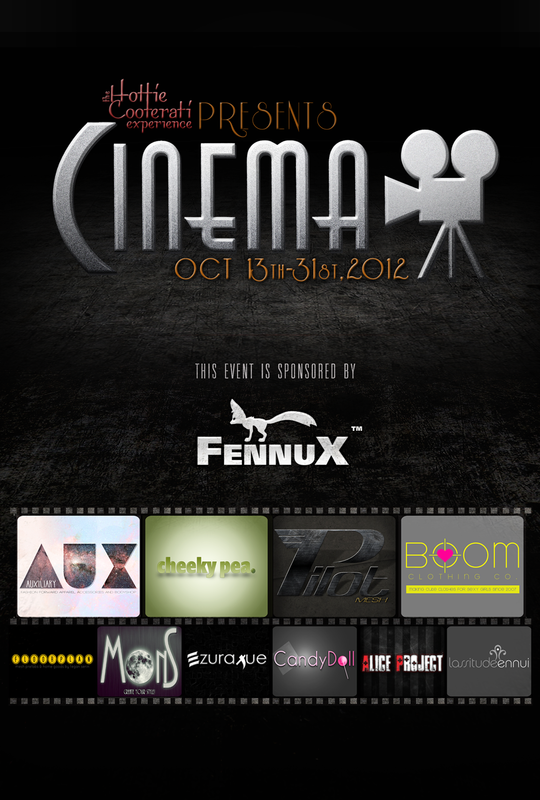 has available for you at Cinema!